Need we say it’s hot outside? Well I’ll say it again: it’s HOT OUTSIDE! We hope you’re powering through the sweat and wearing plenty of deodorant so your co-workers don’t hate you. The last few weeks have been quite exciting with Alice’s Day, the Cowley Road Carnival, the success of our extended open workshop hours, and the incessant need to keep abreast of Tour de France results (Brit Chris Froome conquered Mont Ventoux yesterday!). Thankfully we’ve got a refrigerated workshop to keep us cool in all the excitement. 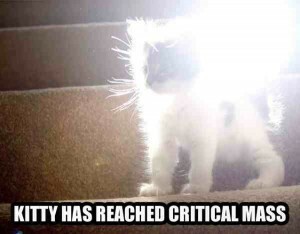 Anyway, we’re building up for some really awesome stuff through the end of the year, but for now we’ve got courses, Critical Masses, and summer maintenance tips. So read on, ride on, and remember your sun cream. Beryls’ Night is better than ever! 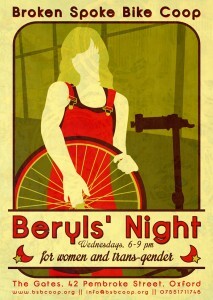 Beryls’ Night is an evening for women and trans-gender to experience bike maintenance, discuss womens’ issues, share some dinner, and encourage a supportive learning environment. We’ve got a new team of star volunteers who are taking BN to the next level, and we know you’ll love what they’re doing with it! 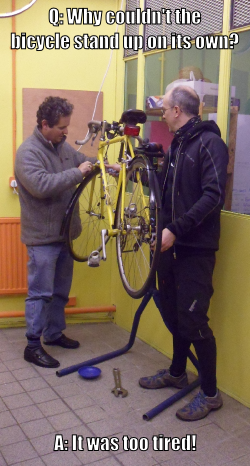 Beryls’ Night is now being held on the 1st and 3rd Wednesdays of the month, and each session is themed (tomorrow it’s How to Clean and Lube your Drivetrain). We’ve launched new courses and they’re selling fast already! 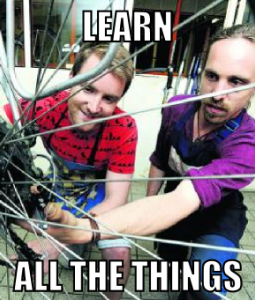 There’s a Bike Maintenance 101 session every month, Internal and External classes in September and October, and Wheel Building in November. 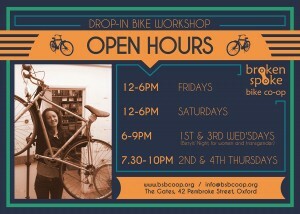 Our expert mechanics are also fabulous tutors who regularly make appearances in the Oxford Mail. Until the end of August, we’re offering you a deal. If you bring a friend who’s never been to the workshop before, you BOTH get 50% off regular workshop access. That means you get to use all our stuff for only £3.50. Wow. Why? We were just nominated for the OCVA Awards in 2 categories: Best New Group and Management of Volunteers. Join us for July’s Critical Mass event themed around saving Port Meadow. Meet at Tourist Info, Broad Street at 6pm. Bring costumes, lights, music, small children, hamsters, etc. Please respect traffic, don’t jump red lights, and be safe. More info on international Critical Masses here.